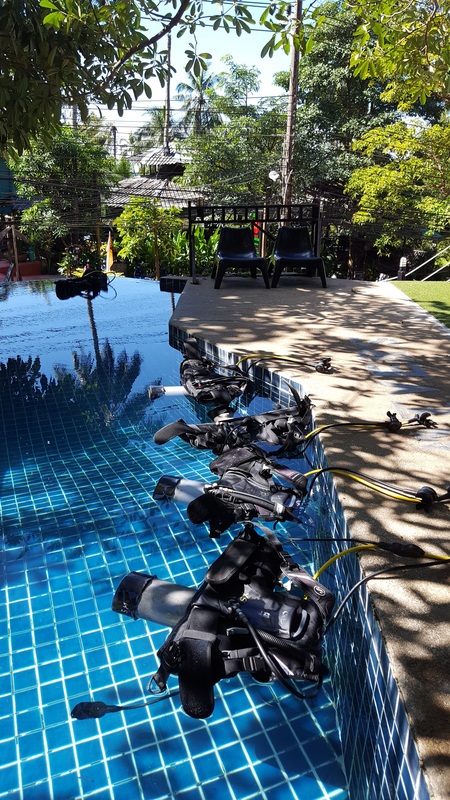 At BB divers we teach diving courses in English, Nederlands, Francais, Deutsch, Thai, Chinese,... and have the learning materials (Padi online manuals and video) in more languages including Russian, Swedish, Danish, Finish, Norwegian, Spanish, Italian. The course prices include, lunch, drinks, snacks and fruit, pick up from hotel, use of dive equipment, the Padi e-manuals or aps and the Padi certificate. Our classrooms are at Bang Bao pier, at the trainingpool at Lonely Beach and in BB Beach in Klong Kloi. The confined water sessions are taught in the BB swimming pool or from the beach. For diving we go out with one of our boats, some trainings dives will be run of the beach. First we give you an introduction to diving and safety, followed by a few exercises in shallow water. Then we guide you for 2 nice dives on the coral reef. DSD is a great introduction to the beauty of the coral reef. On the first day we show a video and explain diving theory, followed by water training in our own BB pool. The second day is a full diving day consisting of 2 dives. This gives you a limited certificate to dive to 12m, all next dives should be done under the guidance of a PADI professional. This is the one! The open water diver course is your pass to the diving world. it is the first course where you'll get a full certificate. On the first day we go over the theory and we train skills in our swimmingpool or from the beach. 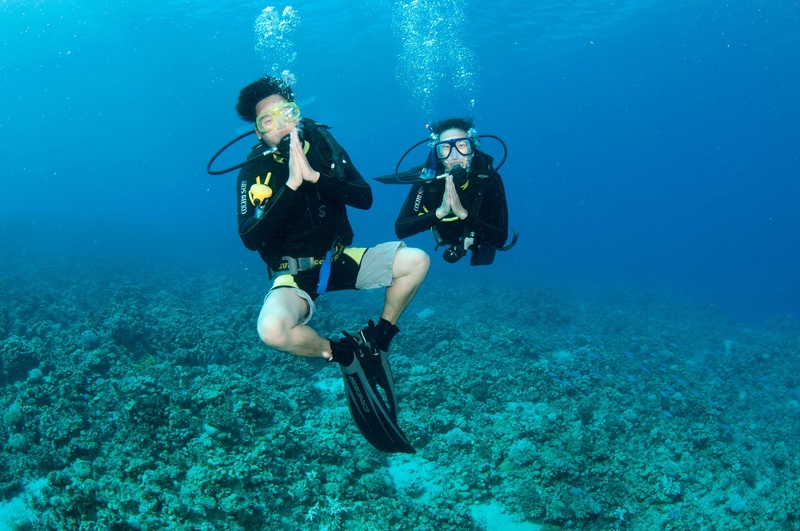 The next days you're ready to go out by boat for your first dives: 4 dives in total spread over 2 days on the coral reefs around Koh Chang or Koh Rang. On every dive you will practise some skills and of course enjoy the beauty of the reef around Koh chang. Open water touch: Your best choice, the course includes the active android/apple version of the open water manual. It allows you to prepare all the theory, watch the videos and finish the quizzes and exams before starting your course with us. On your first trainingsday the instructor will give a small revision and you are ready to jump in the pool to start skill training. The next two days we ll take you out on the boat for the ow dives. This OW Touch version costs 15500 Bht. Open water Lite pack, includes the pfd version of the manual, which allows you to read and prepare the theory, but once here we will teach the theory with video and instruction, followed by the pool training and the 2 days of diving. Total price 14500 bht. Improve on your diving skills. With the advanced diver course you will become a more skilled diver, able to dive deeper and practise better control over your dives. The course includes five specialised training dives. This is the best and most fun way to improve your dive style and feel confident in the water. 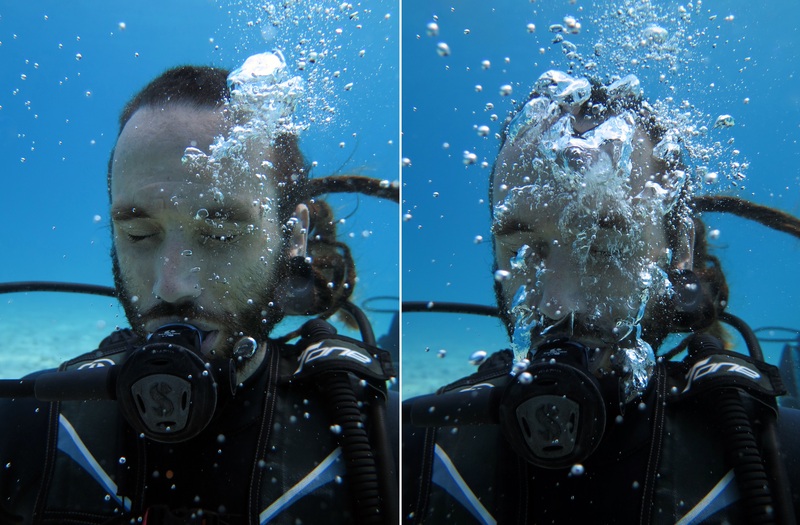 2 core dives are the deep dive and the navigation dive, for the other 3 you have a choice out of: wreck dive, digital photography, naturalist, multilevel, peak performance buoyancy, search and recovery, night dive… you can discuss the best option with your instructor once you've started the course. EFR is a complete training in first aid and readiness to help out in emergencies, useful for every traveller and diver. It is an internationally recognized frist aid qualification. No water training, only theory and practical exercises. We train with official CPR mannequins and a defibrilator trainer. The rescue diver is a very extensive course in which you will learn how to manage dive accidents, avoid problems under water and assist divers in trouble. Training as a rescue diver is the first step in becoming a helpful buddy and a responsible diver. On your first day we will go over the theory with video and explanation. The next 2 days we go out for rescue dive training in shallow water and in the sea, we work you hard, but you will become a confident and strong diver! Divemaster training is our BB speciality. Every year we train many professionals and are proud to bring some of the best dive masters to the scuba world. All of them found a diving job and are currently working as divemasters or eventually instructors all over the world. 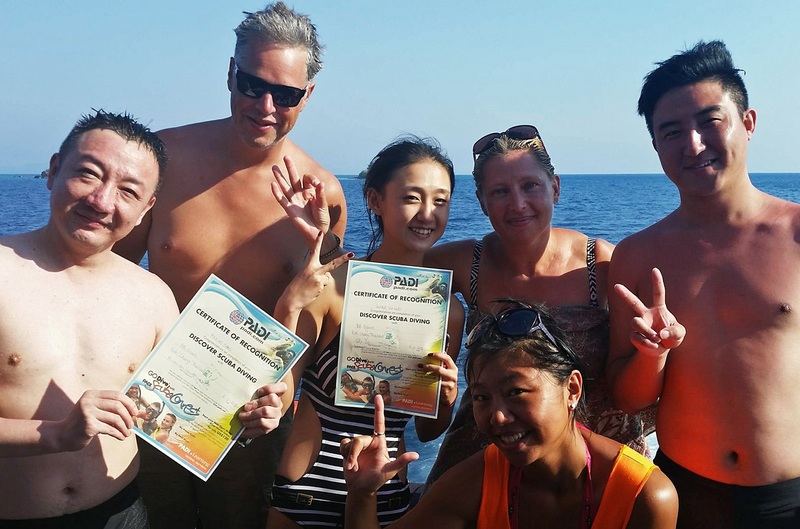 We offer a complete, tough but also fun training, which covers all the aspects of 'the divemaster job'. The DM training prepares you to guide divers, organize the diving, maintain equipment, help in the dive shop and assist in training sessions with an instructor. 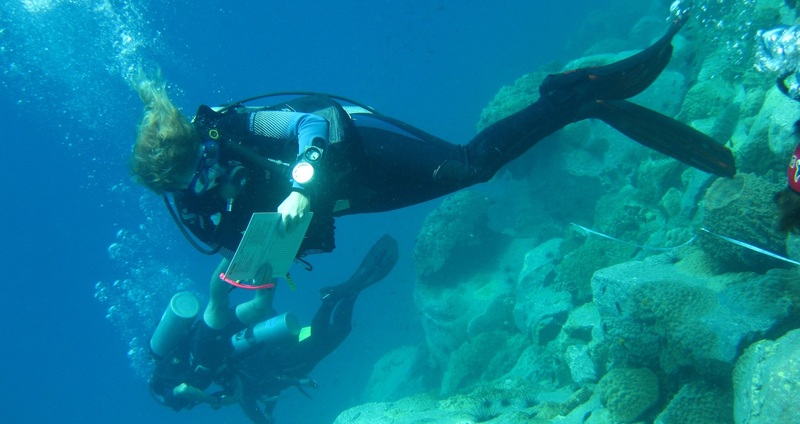 The DM training program can take from 3 to 6 weeks and consists of academic training, and 'in the field' assisting with every possible task there is to be found in and around diving. More about the DM course at BB divers here. The assistant instructor (AI) can be organised according to your planning. It is a great preparation for the IDC and gives you more time to practise your teaching skills and get some experience before an IDC. +GAn AI is a valuable help in any dive centre-G. The instructor training is given in two parts, 4-5 days assistant instructor, and 4-5 days instructor. Becoming a PADI dive instructor will change your way of life, being able to work any where in the world is for many a dream come true. 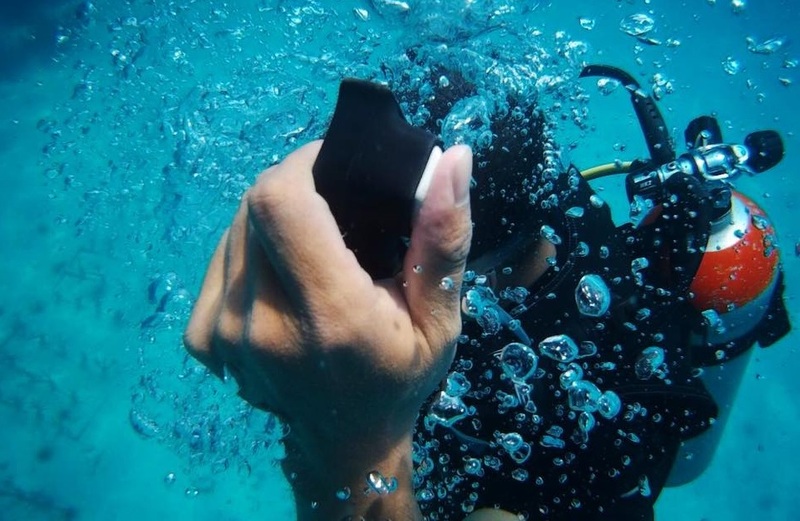 The PADI license is widely recognized and one of the highest levels you can get in diving. The IDC training at BBdivers is an extremely full training, with a very thorough preparation before, planned seperate for every candidate according to their experience. More about IDC at BB divers here. Take the challenge, ready to leave all worries behind, go for a full dive training from non diver to Padi dive master, the start of a new and exciting career. Many continue the training up to dive instructor once these 10 weeks are finished.